In today’s competitive business environment, both employers and employees are searching for added incentives – those special perks that make jobs more attractive and give companies the reputation of being a great place to work, while improving the bottom line. 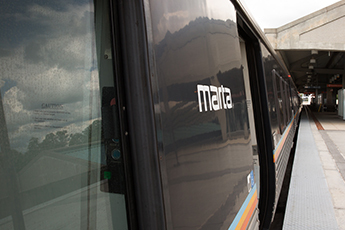 MARTA offers a program that not only provides significant savings to Atlanta area companies and their employees, but delivers a host of other benefits. Companies have the option to either go directly to MARTA or a Transportation Management Association (TMA). A TMA is a transit-based organization that provides a variety of services to companies located in specific geographical regions. Their mission is to improve the quality of life through green space, recycling, and transportation initiatives. All companies who participate through a TMA will automatically get the maximum discount (20%) offered. Your company must fall within the TMA's geographic region to be eligible. 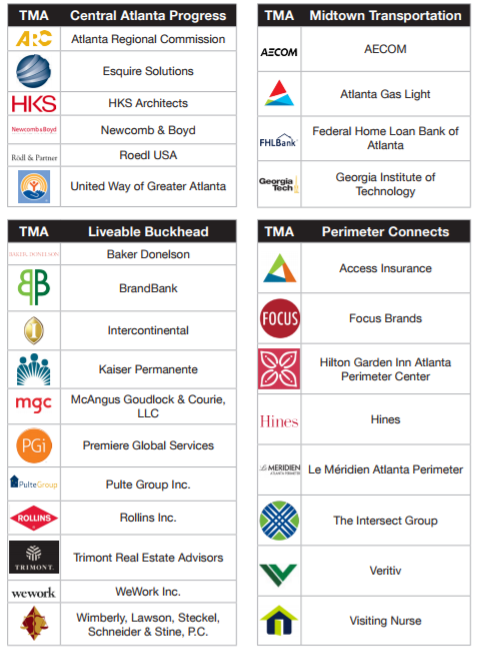 Contact us at rmasters@itsmarta.com or 404-848-4088 to see if you're within a TMA zone. Any company has the option of doing MARTA Direct. It involves working directly with MARTA to participate in the program. Depending on how many employees wish to participate, the discount can range from 5 to 20% off the monthly pass. Whether you choose to participate in the program through a TMA or MARTA Direct, the program offers great benefits for both the employer and employee. Enrolling your organization in the Partnership Program is easy and only takes a few steps. Plus, enrolling is free. We'll contact you to provide more information on program enrollment so that you and your employees can start enjoying the perks of partnering with MARTA very soon. You won’t pay federal or payroll taxes on the value of the commuter benefit, which makes this more cost effective than raising an employee’s salary by a similar amount. If your company pays for employee parking, that cost will be reduced. Plus, you’ll have more room for visitor parking. Employee health and productivity will increase without the stress of daily traffic and time wasted in gridlock, leading to improved retention. Offering new perks to boost your benefits package will increase employee morale and aide in recruiting of new talent. Your employees also benefit directly from the Partnership Program. For those already riding MARTA, the discount immediately puts money back into their pockets. For others who are commuting by car, this program offers both financial and personal incentives. Employees will save money by not driving a personal car every day, including the cost of fuel, parking fees and ongoing vehicle maintenance. Employees who already use MARTA for their daily commute will receive up to a 20% discount on transit costs. Due to tax savings associated with the program, employees will see an increase in their take home pay. Your employees will be safer on public transit than driving a car. In fact, the National Safety Council says riding a bus is 170 times safer than traveling in an automobile. By reducing the stress associated with traffic, they will be healthier. The stress of driving in congested conditions is linked directly to a long list of health problems, more headaches, colds and flu. Employees can use a train or bus ride to work and be productive, which isn’t possible when they are driving in daily traffic. They can save money by using it on the weekends to attend sporting events downtown, visit attractions in the city, dine at in-town restaurants or simply travel around the metro area. Because the pass provides unlimited usage on both trains and buses. Click here for printable version “Enrollment Form" and forward to Reginald Masters at rmasters@itsmarta.com.